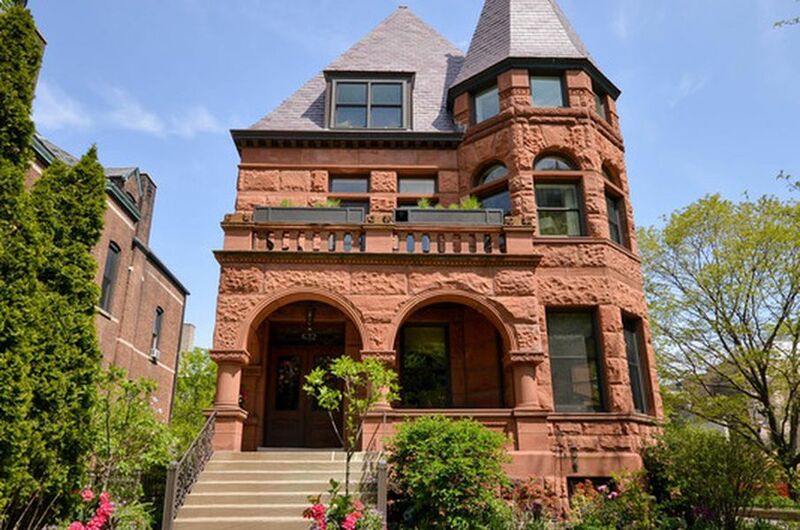 Designed in the Richardsonian Romanesque style, this large 12,600-square-foot home stands over a large lot and is filled with classic detailing and finishes. For this building Marion Restoration has performed repointing and stone crack injection as necessary to repair some minor damage and restored the look of the masonry on the South, North, East and West elevations of the Main and Coach House. Mortar had failed in some areas of the walls due to rising damp and overexposure to moisture. We have replaced the missing brick with a like brick unit, conducted salt neutralization as necessary where efflorescence had appeared at first and second/ third story level.